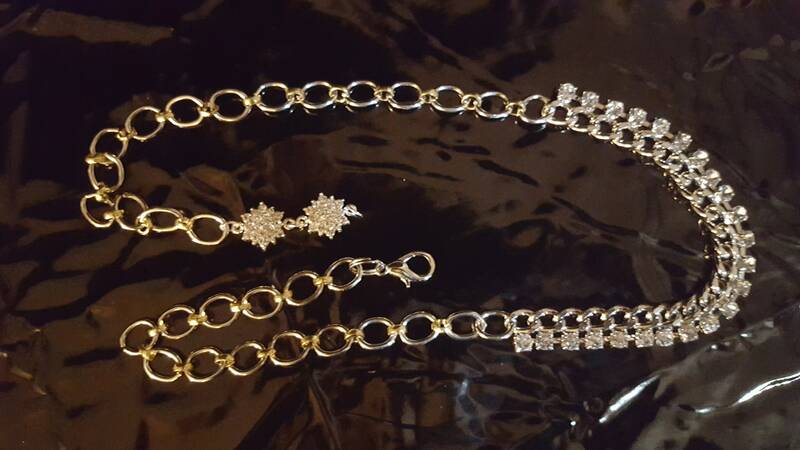 Waist Chain Only. NO NICKEL in chain. 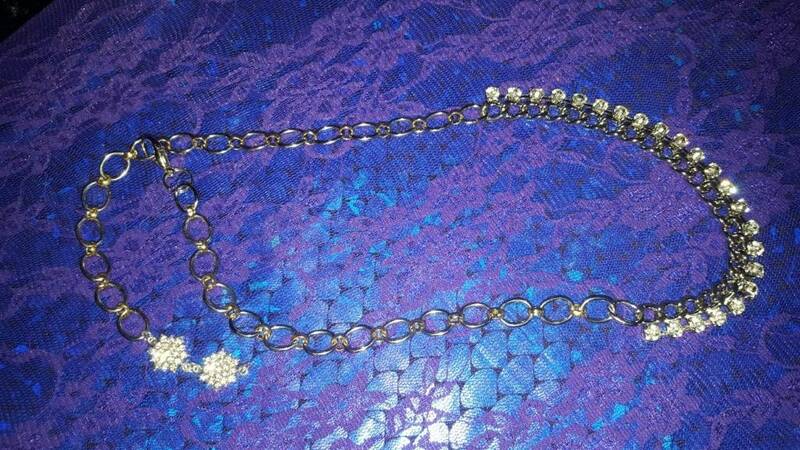 Silver plated chain. Medium fits 30" to 37" adjustable in length. Order according to hip measurement Largest stone is a full 1". Smaller stones are 1/2" and 3/4" stones. Stone strands is 4" wide. Wear it with crop top or bathing suit. Silver chain. High quality glass stones. This Outfit is not included in the price. 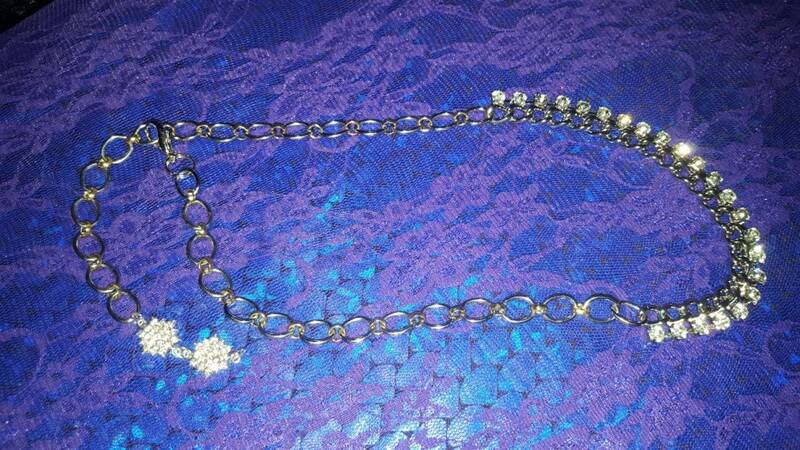 Waist chain and stones only.